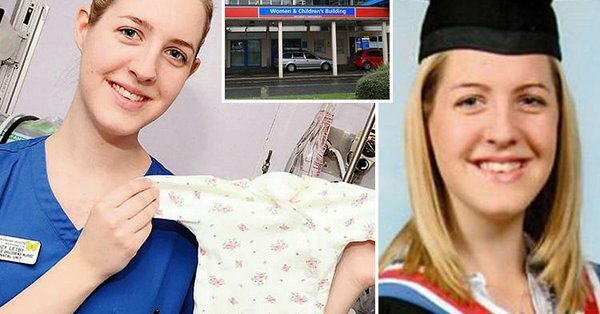 The world is shocked when news erupted that a British nurse is suspected of having killed eight babies and attempting to kill six more newly-born children at another hospital. The nurse-suspect is identified by local media reports as 28-year-old Lucy Letby from Chester. Detectives are investigating the suspicious deaths of as many as 17 babies in the Countess of Chester Hospital’s neonatal unit between March 2015 and July 2016. Local reports say the suspect was arrested on Tuesday morning at her home. She remains in police custody while the investigation is ongoing to determine the extent of possible crimes she may have committed. A blue tent could be seen set-up outside her home on Westbourne Road, in Chester, and officers were spotted searching the property as well as that of her parents. Letby’s house is just about 1.5km from the hospital. A University of Chester graduate, Letby is said to have worked at the hospital as a pediatric nurse since 2011 after she graduated. She is also reported by the local media to have worked there as a student nurse during her three years of training. Police launched a probe in May last year into the mysterious deaths of 15 babies and six non-fatal collapses at the women and children’s unit of the Countess of Chester hospital between June 2015 and June 2016. The force said on Tuesday that the investigation had widened to also cover the deaths of 17 babies and 15 non-fatal collapses between March 2015 and July 2016. Letby was even pictured smiling and holding up a baby gown when she was featured in the hospital’s internal newsletter, the Standard, in March 2013. In the article, she appeared to enthusiastically discuss her role in the neonatal unit. She said then: “My role involves caring for a wide range of babies requiring various levels of support. Some are here for a few days, others for many months and I enjoy seeing them progress and supporting their families. Now that same hospital, Liverpool Women’s Hospital, has also launched a probe of its own after the said revelation came out that Letby spent time training there. The second hospital also said they are committed to cooperate with the police investigation that may include a routine review of patients cared for on their Neonatal Unit during the time of said placements under probe. The hospital says, however, that there is no suggestion at this point that any patients at their medical facility came to any harm in relation to the ongoing investigation. Some social media users have taken to Twitter, however, to express their discomfort and disagreement with the local media already “plastering” the suspect’s photos and personal and family details online when she has yet to be charged for anything. I agree have them babies at home or a vetted birthing center but stay away from the bacteria laden hospitals. If that nurse didn’t do this horror those hospitals and the nurse herself sure have some lousy luck. They must have tons of evidence to prove her guilt, she looks so kind, and gentle, as the saying goes,”you can’t judge a book by it’s cover” Thank God other babies will be safe now.